Canada Geese by anjoudiscus via Birdshare. 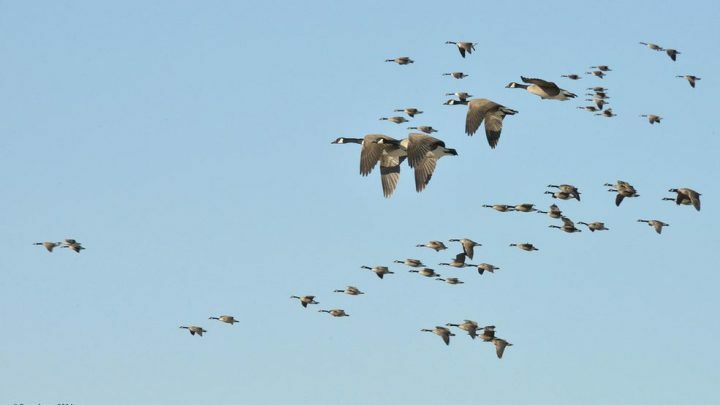 Geese winging their way south in wrinkled V-shaped flocks is perhaps the classic picture of migration—the annual, large-scale movement of birds between their breeding (summer) homes and their nonbreeding (winter) grounds. But geese are far from our only migratory birds. 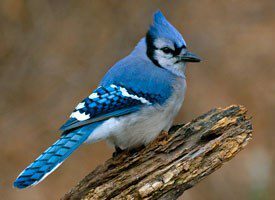 Of the more than 650 species of North American breeding birds, more than half are migratory. Birds that nest in the Northern Hemisphere tend to migrate northward in the spring to take advantage of burgeoning insect populations, budding plants and an abundance of nesting locations. As winter approaches and the availability of insects and other food drops, the birds move south again. Escaping the cold is a motivating factor but many species, including hummingbirds, can withstand freezing temperatures as long as an adequate supply of food is available. The term migration describes periodic, large-scale movements of populations of animals. One way to look at migration is to consider the distances traveled. Permanent residents do not migrate. They are able to find adequate supplies of food year-round. Short-distance migrants move only a short distance, as from higher to lower elevations on a mountainside. Medium-distance migrants cover distances that span from one to several states. 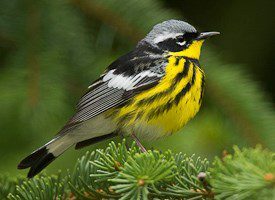 Long-distance migrants typically move from breeding ranges in the United States and Canada to wintering grounds in Central and South America. 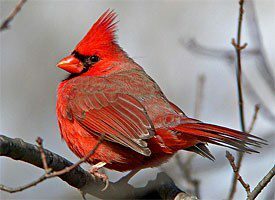 Despite the arduous journeys involved, long-distance migration is a feature of some 350 species of North American birds. The pattern of migration can vary within each category, but is most variable in short and medium distance migrants. While short-distance migration probably developed from a fairly simple for food, the origins of long-distant migration patterns are much more complex. They’ve evolved over thousands of years and are controlled at least partially by the genetic makeup of the birds. They also incorporate responses to weather, geography, food sources, day length, and other factors. 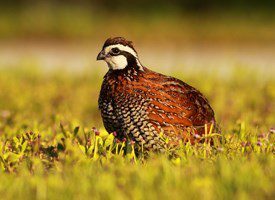 How Do Birds Prepare For Long Migrations? For birds that winter in the tropics, it seems strange to imagine leaving home and embarking on a migration north. Why make such an arduous trip north in spring? One idea is that through many generations the tropical ancestors of these birds dispersed from their tropical breeding sites northward. The seasonal abundance of insect food and greater day length allowed them to raise more young (4–6 on average) than their stay-at-home tropical relatives (2–3 on average). As their breeding zones moved north during periods of glacial retreat, the birds continued to return to their tropical homes as winter weather and declining food supplies made life more difficult. Supporting this theory is the fact that most North American vireos, flycatchers, tanagers, warblers, orioles, and swallows have evolved from forms that originated in the tropics. The mechanisms initiating migratory behavior vary and are not always completely understood. Migration can be triggered by a combination of changes in day length, lower temperatures, changes in food supplies, and genetic predisposition. For centuries, people who have kept cage birds have noticed that the migratory species go through a period of restlessness each spring and fall, repeatedly fluttering toward one side of their cage. German behavioral scientists gave this behavior the name zugunruhe, meaning migratory restlessness. Different species of birds and even segments of the population within the same species may follow different migratory patterns. When, where, and how far will birds migrate? The Cornell Lab’s BirdCast project is developing the ability to forecast this—almost like getting a weather report. 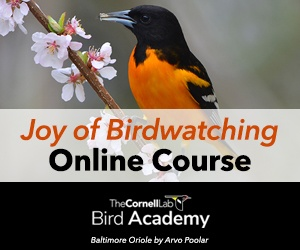 It’s a bird watcher’s boon, but it’s also crucial information for conservation. By knowing where birds are and when, important conservation decisions can be made, such as placement of wind turbines and reducing building lights on specific high-migration nights, to prevent the deaths of millions of birds. Accurate migration models also have broader applications, allowing researchers to understand behavioral aspects of migration, how migration timing and pathways respond to changing climate, and whether linkages exist between variation in migration timing and subsequent changes in population size. BirdCast issues weekly migration forecasts each spring and fall migration season. Some species, particularly waterfowl and cranes, follow preferred pathways on their annual migrations. These pathways are often related to important stopover locations that provide food supplies critical to the birds’ survival. Smaller birds tend to migrate in broad fronts across the landscape. Recent studies using eBird data are revealing that many small birds take different routes in spring and fall, to take advantage of seasonal patterns in weather and food. Taking a journey that can stretch to a round-trip distance of several thousand miles is a dangerous and arduous undertaking. It is an effort that tests both the birds’ physical and mental capabilities. The physical stress of the trip, lack of adequate food supplies along the way, bad weather, and increased exposure to predators all add to the hazards of the journey. In recent years long-distant migrants have been facing a growing threat from communication towers and tall buildings. Many species are attracted to the lights of tall buildings and millions are killed each year in collisions with the structures. The Fatal Light Awareness Program, based in Toronto, Ontario, Canada, has more about this problem. Each spring, about 500,000 Sandhill Cranes and some endangered Whooping Cranes use Nebraska's Platte River as a staging habitat during their northward migration. Scientists use several techniques in studying migration, including banding, satellite tracking, and a relatively new method involving lightweight devices known as geolocators. One of the goals is to locate important stopover and wintering locations. Once identified, steps can be taken to protect and save these key locations. Each spring approximately 500,000 Sandhill Cranes and some endangered Whooping Cranes use the Central Platte River Valley in Nebraska as a staging habitat during their migration north to breeding and nesting grounds in Canada, Alaska, and the Siberian Arctic. What is a migrant trap? 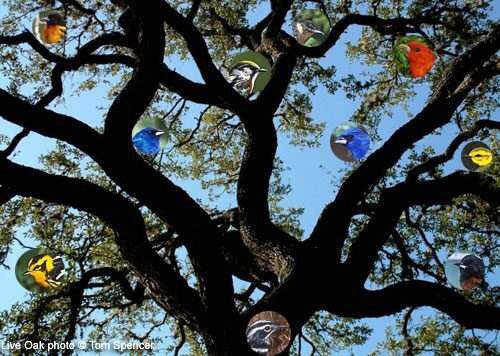 Giant live oak trees, like these in High Island, Texas, attract many of our most beautiful birds after their spring journey across the Gulf of Mexico. Clockwise from top left: Baltimore Oriole, Indigo Bunting, Chestnut-sided Warbler, Bay-breasted Warbler, Blue Grosbeak, Scarlet Tanager, Black-throated Green Warbler, Orchard Oriole, Black-and-white Warbler, Blackburnian Warbler. Some places seem to have a knack for concentrating migrating birds in larger than normal numbers. These “migrant traps” often become well known as birding hotspots. This is typically the result of local weather conditions, an abundance of food or the local topography. 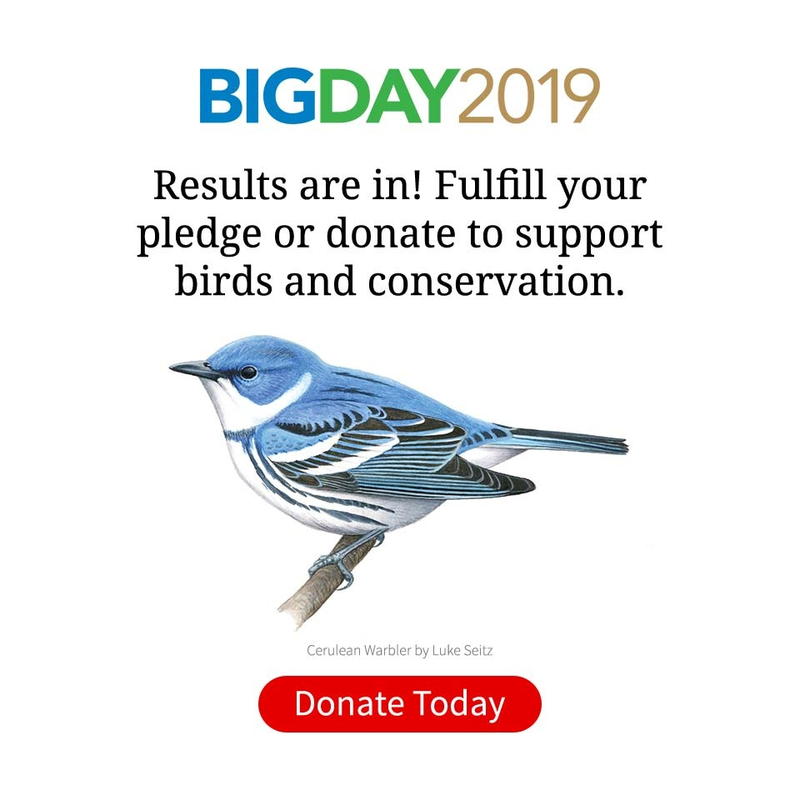 For example, small songbirds migrating north in the spring fly directly over the Gulf of Mexico, landing on the coastlines of the Gulf Coast states. When, storms or cold fronts bring headwinds, these birds can be near exhaustion when they reach land. In such cases they head for the nearest location offering food and cover—typically live oak groves on barrier islands, where very large numbers of migrants can collect in what’s known as a “fallout.” These migration traps have become very popular with birders, even earning international reputations. Peninsulas can also concentrate migrating birds as they follow the land and then pause before launching over water. This explains why places like Point Pelee, Ontario, the Florida Keys, Point Reyes, California, and Cape May, New Jersey, have great reputations as migration hotspots. Spring migration is an especially good time for those that feed birds in their backyard to attract species they normally do not see. Offering a variety of food sources, water, and adding natural food sources to the landscape can make a backyard attractive to migrating songbirds. This map shows the Common Yellowthroat's U.S. range for each week of the calendar year. You'll find animated maps for more species at eBird. These limitations are beginning to be addressed by data-driven, digital versions of range maps. The maps are made possible by the hundreds of millions of eBird observations submitted by birdwatchers around the world. “Big Data” analyses are allowing scientists to produce animated maps that show a species’ ebb and flow across the continent throughout a calendar year—as well as understand larger patterns of movement. Migration is a fascinating study and there is much yet to learn. Songbird Journeys, by the Cornell Lab’s Miyoko Chu, explores many aspects of migration in an interesting and easy-to-read style. The Cornell Lab’s Handbook of Bird Biology provides even more information on the amazing phenomenon of bird migration.